Join Rouxbe Wellness Advisory Board member Dr. Julie Briley, ND, as she shared a naturopathic physician's perspective on food and cooking. She spoke about her experience using food to support overall health as well as to help support treatment of specific chronic conditions. 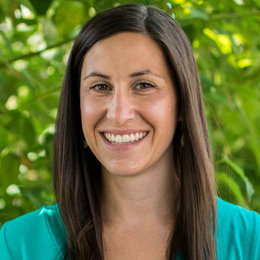 Dr. Julie Briley is a licensed naturopathic primary care physician and co-founder of the Food As Medicine Institute (FAMI) at the National College of Natural Medicine (NCNM) in Portland, Oregon. Founded in 1956, NCNM is the oldest accredited naturopathic medical college in North America and an educational leader in naturopathic and classical Chinese medicine, and integrative medical research. NCNM’s FAMI is dedicated to helping individuals, families and organizations develop healthy relationships with whole foods. FAMI provides curriculum-driven, bilingual nutrition/cooking workshops, classes, webinars and corporate wellness programs. FAMI also produces symposia and webinars for healthcare professionals to deepen their understanding about food as medicine and to assist in the prevention and management of disease in their patients. FAMI’s community-based nutrition and hands-on cooking programs for children, teens and adults of various cultures and socioeconomic levels reflect Dr. Briley’s longstanding interest in community health education. Her commitment to underserved communities was first sparked when she served in the Peace Corps in Paraguay and other Latin American countries. In teaching villagers how to plant and cook nourishing foods, she gained a profound understanding about the link between nutrition and disease prevention.